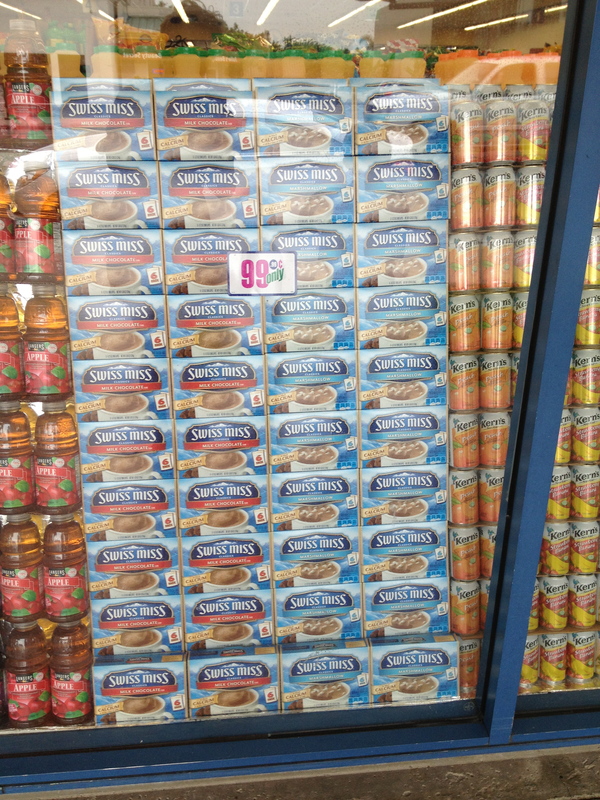 Here are two photos I snapped as I walked by a 99 cent store in LA. Beautiful arrays, no? I am thinking about how to use these kinds of images as the anchors for number strings, particularly for intervention work with older students. 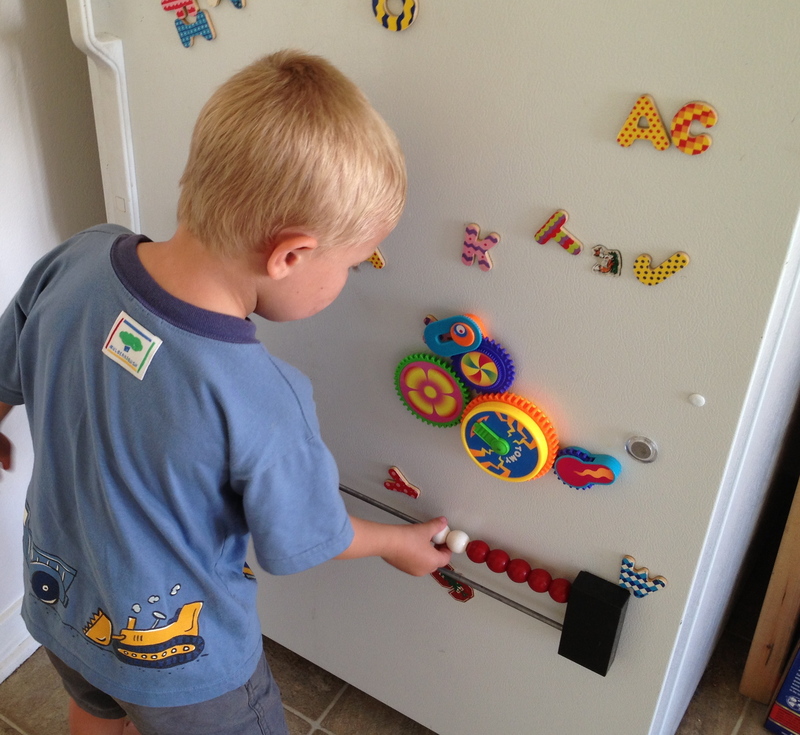 Sometimes older kids need work thinking about multiplication, but in an age-appropriate way. What kind of questions do you think of with this image? One could most simply begin by asking what kids noticed about the image. That would bring most of the interesting mathematics forward, I think. Beginning perhaps with how many boxes of hot chocolate do you see (nice numbers)? And then, considering this is a 99 cent store, how much would it cost to buy all of this chocolate. It reminds me of some work that Pamela Harris suggests in her book on Powerful Numeracy, in which she asks kids what is 99 plus any number? A 99 cent store is a great way to think about what is 99 times any number? Much of my talk when representing strategies is my repeating the words of a student who shared a strategy, simply because it helps me remember the strategy if I restate it while I am drawing a representation of it on the board. Often, a student will begin this generalization process for you, and you just need to follow their thinking. They may say, I think that this strategy works because . . . , and at that point I write their words down verbatim on the side of the board, leaving space for the group to refine the generalization. Just like my son learned his questions from me, I learned them from watching other people teach strings. Are there other go-to questions for teaching number strings?